All financial products come with various fees and charges attached to them, and travel money cards are no different. This year CANSTAR has for the first time rated travel money cards, specifically comparing upfront fees, exchange rates, and other charges, along with the features and benefits on offer. These ratings help you accurately judge whether you’re getting value for money – after all, it is the combination of fees and exchange rates that dictate how much you have in your pocket when you’re travelling overseas. So here’s our CANSTAR travel guide to the fees and charges you should be aware of when choosing a travel money card. The giant table below summarises the fees and charges you can expect to see on the 4 cards available in New Zealand. To find out what these fees mean and how to avoid paying some of them, read on below. Source: CANSTAR database as at 11 July 2016. Often, it is in the actual exchange rate upon loading the card with money where a travel money card will cost you the most. This is a profit margin that the currency exchange broker adds to their quoted exchange rate on top of the true exchange rate (known as the “benchmark rate”, “headline rate”, or “spot rate”). Different travel money cards have different exchange rates, and even a few cents’ difference can save you hundreds of New Zealand dollars. Always remember to check the exchange rate before signing up. We’ve explained how that works and the current exchange rates you can get here. You may pay an initial card loading fee for your new travel money card. Flat fees can be anything from $0 up to $15 for the card set-up, according to our database, but other cards charge a percentage-based fee of 1.10% of your initial cash amount as an initial cash load fee. Some cards do not charge a cash load fee again if you need to load more cash onto your card later on, but some cards do charge, and they charge a lot. Check whether your card has a maximum cap or a flat fee for reloading, as this will save you money. This year’s award results show that 2 of the 4 cards do not charge a reload fee (Qantas Cash, Air New Zealand OneSmart card). For the other 2 cards that do charge a reload fee, this can be percentage-based fee or a flat fee depending on how you choose to reload the card. Online reload fees are 1.00% with Kiwibank Loaded for Travel or $2 with MasterCard Cash Passport. Reloading through a third party network costs 1.10% with MasterCard Cash Passport. BPAY reload fees are 1.00% for both Kiwibank Loaded for Travel and MasterCard Cash Passport. CANSTAR is an information provider and in giving you product information CANSTAR is not making any suggestion or recommendation about a particular credit product. If you decided to apply for a (type of product) you will deal directly with a financial institution, and not with CANSTAR. Rates and product information should be confirmed with the relevant financial institution. For more information, read our detailed disclosure, important notes and additional information. 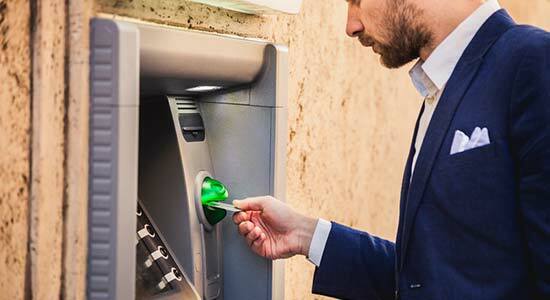 You won’t be charged a penalty fee to use a foreign ATM like you would if you used your own card at an “other network” ATM here in New Zealand, but you will be charged a nominal flat fee in the respective currency. You’ll also be charged a usage fee by the foreign ATM’s institution. A warning about this fee is supposed to appear on the screen so you can choose whether to continue or abort the mission, but it doesn’t always happen, so don’t get stung. It’s not worth paying the equivalent of $6 NZD if you can get cash out for free. Source: www.canstar.co.nz. Fees are current as at 12 July 2016. This is a fee charged if you need to withdraw cash over the counter at a foreign Travelex type store while travelling. These fees on our database range from $0 (no fee) up to $10. Again, why pay to withdraw cash if you can get cash out for free? You can use a currency other than what’s loaded on your card to make a purchase, but you will pay a conversion fee for the privilege. Conversion fees on the 4 cards we rated range from 2.50% to 5.95% of the transaction at the time of writing. 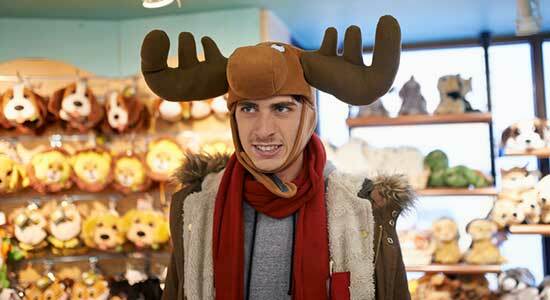 Don’t be a silly moose – pick a card with a low conversion fee, and if your card charges a high conversion fee, just use another payment method. If you haven’t used your card in a while, some providers will slowly eat away at your remaining balance by charging up to $4 per month. Meanwhile, 3 of the 4 cards we rated will keep the account open free of charge, so you could travel again next year using the same card if you want to. Say you decide you never want to travel again (gasp! ), or maybe you just want to switch travel money card providers (phew). In this case, you will need to close out your travel money card and refund any leftover balance to your normal bank account. Some card providers charge a fee for the administration involved in this process, charging either a card closure fee or a refunding card balance fee – or both. Card closure fees on our database range from $0 up to $10, and fees to refund your card balance cost $0 up to $15. Should you lose your card or have it stolen, you’ll need a replacement in a hurry. MasterCard Cash Passport and Qantas Cash both provide a replacement card for free – but not everyone does. Fees on our database range from $0 up to $10. About that replacement card – wouldn’t it be great if you had a second card already attached to your account, that you don’t use unless your first card does get lost or stolen? Now you can! 3 of the 4 cards we rated offer a secondary card, and 2 of the 4 offer this second card for free. Fees on our database range from $0 up to $10. A month or so before you head overseas, make sure that you compare your options and find a card with the minimum possible fees and charges, so you can get the most out of your holiday budget.